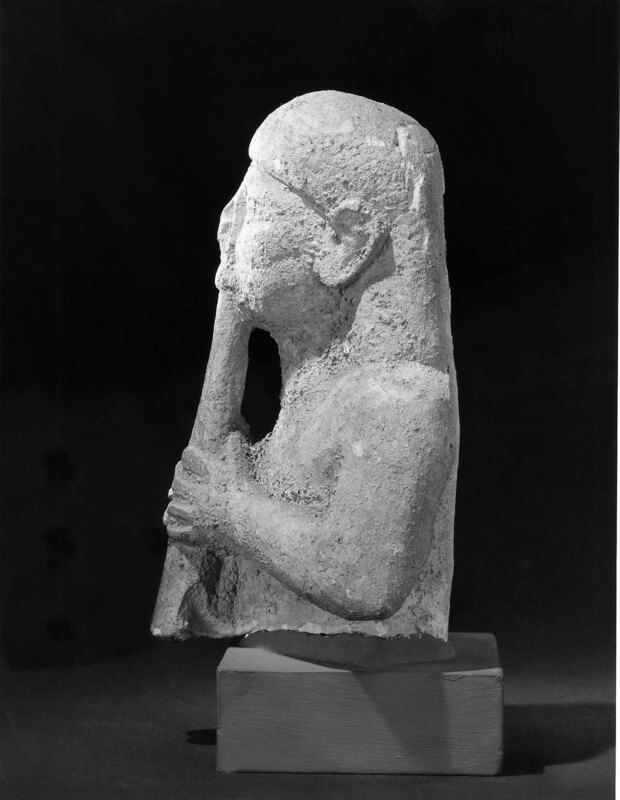 Sculpture in Stone (MFA), no. 421. The figure’s nose has been broken away, and there are gashes in the right cheek and on the back of the head. All the surfaces are covered with a crusty brown patina. The break through the waist has been evened off for mounting in modern times. 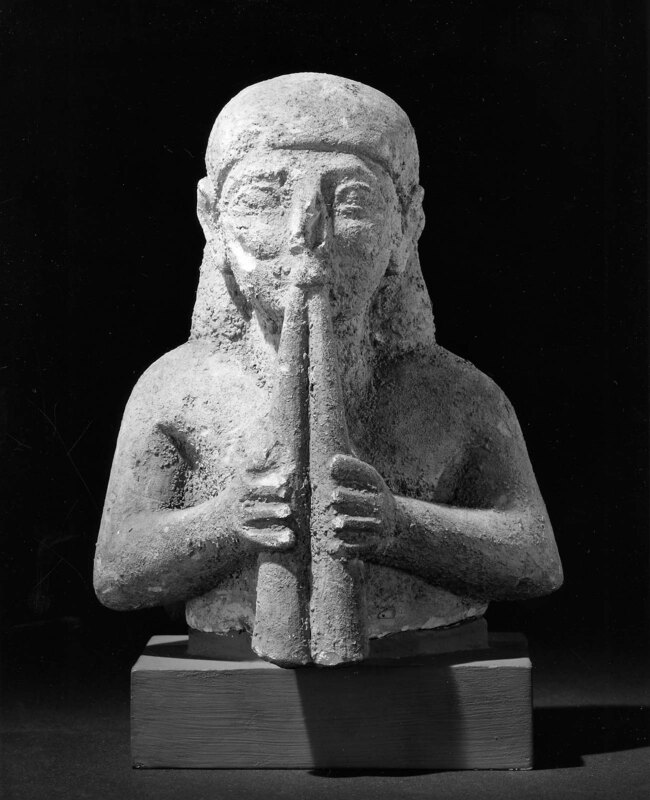 The half figure, from a small statue, wears an Egyptian headcloth and a long tunic with short sleeves. The musician was doubtless playing at a banquet or at funeral rites, or in the precinct of a temple.